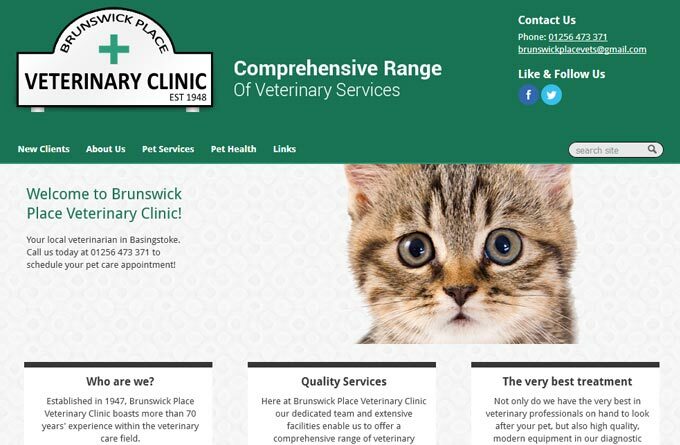 Established in 1947, Brunswick Place Veterinary Clinic boasts more than 70 years’ experience within the veterinary care field. All of our vets are registered with the British Veterinary Association and are members of the Royal College of Veterinary Surgeons. Not only do we have the very best in veterinary professionals on hand to look after your pet, but also high quality, modern equipment in our diagnostic suite to allow us to carefully monitor your pet. For details of the services offered by Brunswick Place Veterinary Clinic, please visit our website or drop by in person to learn more.